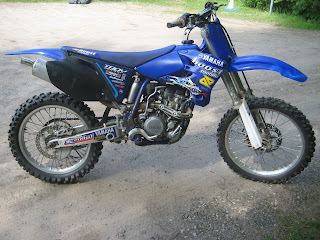 Whether you don’t know where to find dirt bikes for sale, or if you what to do after you find one I will tell you how to do both and more. Although buying a bike may sound as simple as finding the right one and going to picking it up, the finding may not be as easy as you think, especially if you want a particular bike or deal on it. There are many places you can find bikes for sale, including: eBay, classifieds, online stores, sitting in someones yard, and many more. But, the most common and best place to look for most areas of where you live is Craigslist.org. If you haven’t heard of it, it is a very simple to use and free classifieds for pretty much anything.Just click on the “motorcycle” link. Good luck buying a bike!